So, you’ve decided to start collecting vinyl. At this stage, there’s a good chance you’ve heard about the resurgence in vinyl records. You might even have heard about the increased dynamic range with which many records are mastered when compared to their digital counterparts. 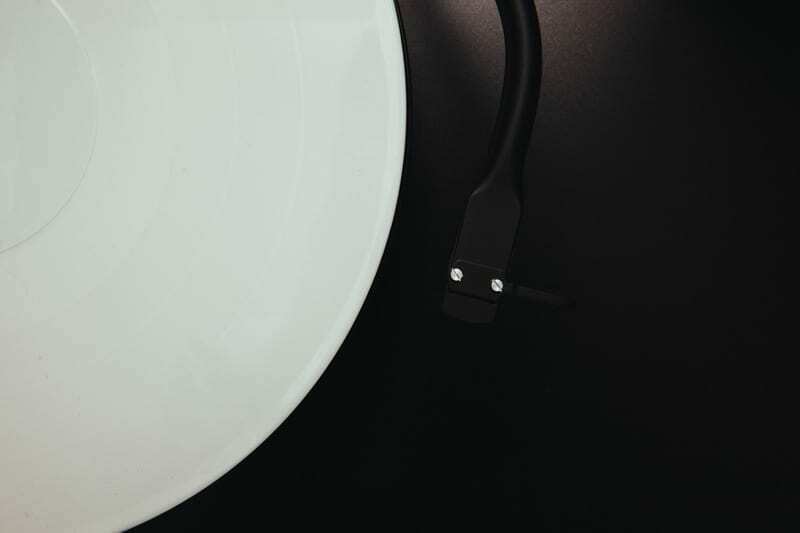 But most of all, the chances are you’re hooked on the allure of vinyl as a physical medium; the gratifying process of dropping a needle onto wax, or simply the impressive artwork. Whatever the reason might be, there are a few things you need and should know about before buying your first setup. After reading this post, you’ll have a better understanding of what is required and which products make a great starting point. Those records will be spinning sweet sounding music in no time! Firstly, and obviously, you’re going to need a great turntable. You don’t have to break the bank to get started with a good turntable, but it’s well worth getting a good quality one to ensure you get maximum pleasure from your new hobby and avoid disappointment. My first record player was a complete disaster. I cheaped out and purchased a very basic model, which turned out to be a big mistake. 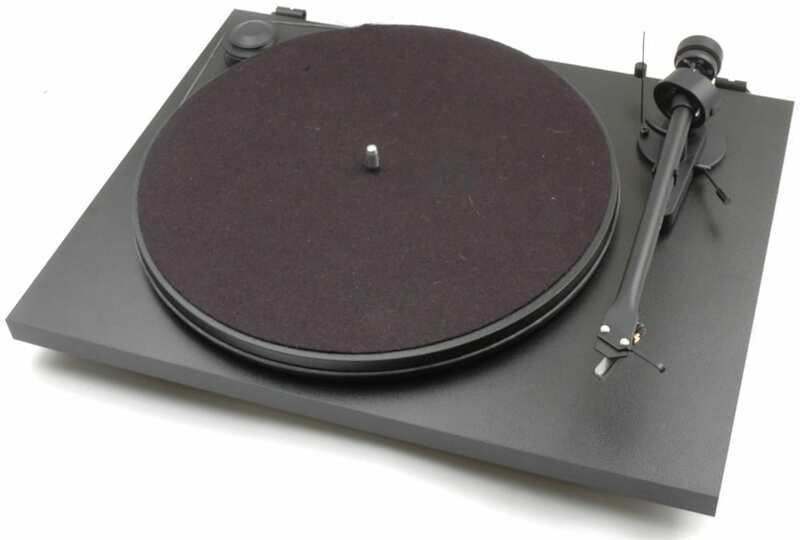 If you’re at all tempted to go cheap, think again, as a cheap turntable can be a real headache when it comes to skipping, not to mention the added wear on your records and disappointing sound. You want to get started with something that will be a positive experience; not one that’s likely to put you off. I would highly recommend the Project Essential II as a fantastic turntable for the money. It has a 5 star rating from What HiFi, and certainly gets all the basics right as stated in their review. There are no bells and whistles because the Essential is designed to focus on high-quality key components where it matters. The tone-arm is of high quality, with a great feel, and it even comes pre-fitted with a good quality phono cartridge – the Ortofon OM5e. All you have to do is set the tone arm counterweight correctly as per the instructions included, and you’re ready to go. To complement your shiny new turntable, you’ll also want to invest in a good quality pre-amp. Once again, if we return to my failed entry level turntable from point one, this was another early mistake from yours truly. The cheap record player wasn’t only cheap, it also came with a built-in phono pre-amp that, to put it politely, wasn’t very good! The signal produced by your phono cartridge needs to be processed before you can plug it directly into the aux input on a home hi-fi. By processed, I mean it needs to be amplified and equalised by a device known as a phono preamp. Without the phono stage, the signal coming from your phono cartridge will be almost inaudible and very tinny. Some cheaper record players come with the phono stage built in, while better quality options typically do not. If you choose to purchase a Project turntable on my recommendation, you’ll also need to purchase a phono pre-amp to match. Although it’s an extra cost, this is, in fact, a good thing. It means you’ve stepped away from the lower end of the market; you’re now looking at a serious bit of kit that will serve you well. The Rega Fono Mini A2D is a very impressive phono pre-amp for the price having won awards in its price bracket. It also features a really handy USB output that makes archiving your records a cinch. Now that you’re all setup with a great turntable and preamp, it’s nearly time to start spinning some wax. But first, there are a few maintenance basics that come highly recommended to promote problem-free operation for years to come. First up is a carbon fibre brush. As part of maintaining your records and keeping them dust free, a carbon brush is essential. Dust and dirt can damage your stylus over time, so it’s good practice to control it by using your brush before and after playback when you can. Even the most carefully looked after records will benefit from a wet clean once in a while. And, if you’re playing old or used records in any capacity, a good clean will almost certainly be in order before you subject them to your shiny new setup. Clear groove record cleaning solution is a good place to start on a budget for restoring old or dirty records. More on record care and maintenance in our previous post. So there you have it; you’re now ready to start dropping that needle on your first record. Now all that’s left is to stock up your shelf with some of your favourite artists on vinyl. The fantastic thing about modern vinyl, is that you almost always receive a digital download card to accompany your record. And, most releases are pressed on 180g heavy-weight vinyl, which is thicker than your typical vintage record at 120 – 160g. The added thickness and durability of 180g records makes them less prone to warping over time, but, to be honest, it has no real sonic advantage.